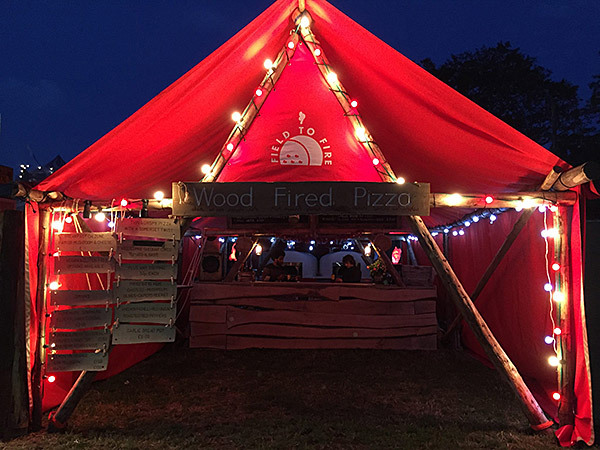 Field to Fire is a leading mobile event catering business specialising in wood fired cuisine. Based near Frome, Somerset our striking ovens are transported to a host of events across the south west bringing our wood fired culinary alchemy to the party. As well as our increasingly renowned authentic italian pizzas, calzones & bruschettas we also serve a wide range of fresh, locally grown garden salads, homemade lemonades & cordials. If you would like to hire us for your private party or wedding please follow the Private link above.